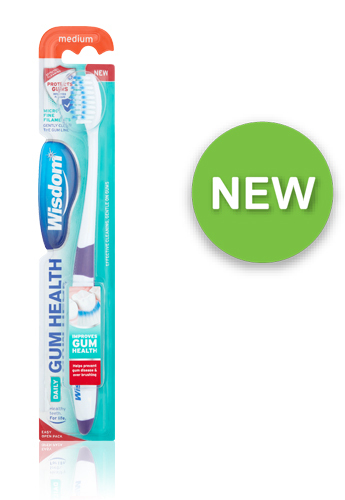 Part of the Wisdom Daily Gum Health oral care range. 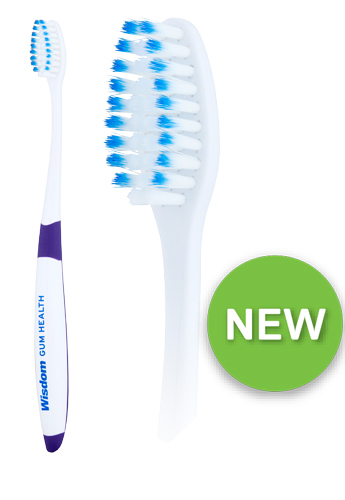 Specially designed with ‘slim tip’ tapered filaments that reach between teeth and below the gum line to effectively remove plaque for a gentle but deep clean. The gentle cleaning action helps to lift away plaque, whilst helping prevent damage to enamel and gums caused by over-brushing. Providing a more gentle clean and softer feel. For best results, use with the Daily Gum Health toothpaste and Daily Gum Health mouthwash for everyday gum protection.